From the beginning, the album sets a much darker and slower tone than Summertime ’06. Which might sound weird at first. But the slowed down, almost hypnotic beats, coupled with the plodding lyrics set the stage for something different. “Let it Shine” opens the album with a somber take on “This Little Light of Mine” a biblical children song, perverting the sound into his own animal. It helps frame the rest of the album as more of a musing, a look through his diary, as opposed to a full-length album. Only 7 tracks long, a short taste, a teaser if you will, of the new style that he has adopted. The scratchy, almost haunted sound drags you in, demanding your attention, until an ear ringing gunshot shatters the peace. This is the reality of the world that Vince grew up in. Where your world can be cut short in a single moment, coming out of nowhere. Going from quiet contemplation to “ready for war” in the space of a single breath. He’s getting his gun and getting ready to fight. This maelstrom of violence and loss that has swallowed him repeats endlessly. The repetitive lyrics and beats only serve to drive this point home further. 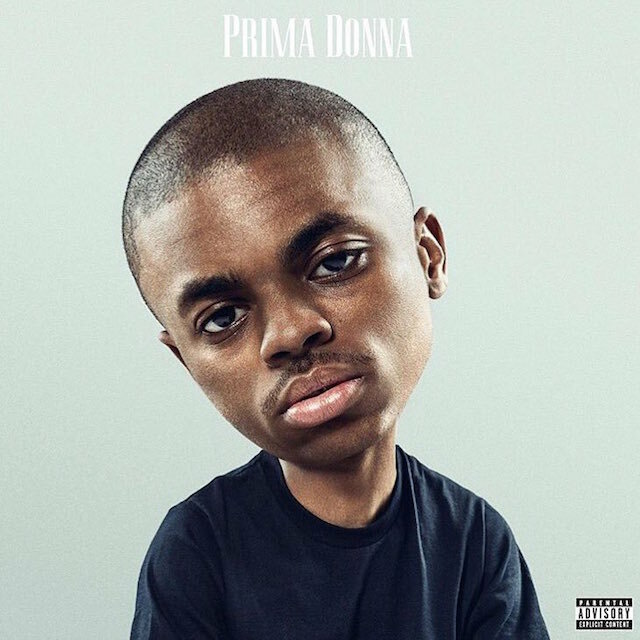 The strange feeling of deja vu that you get by listening to this album because of Summertime ’06 shows that his world doesn’t change, even while he does. It’s nostalgic in a strange way, while being different enough to stand on its own merits. It makes me even more excited to see what comes next from him. Where this growth will take him in the future. Once again, the album closes with “Next time on Poppy Street.” It reminds me of Bobby Tarantino, this summer’s Logic mixtape. You get the feeling that this release is just a creative outlet for an artist while he is working on his next big project. And in some ways, I wish that this were not released as an album, but instead as a mixtape. It’s short, succinct, and strangely experimental. It is a great piece to spend an afternoon with, but it is strange being lauded as Staples’ next big project, as it is decidedly not that. It is not Poppy Street or whatever he will call his next big endeavor. Prima Donna is Staples expressing himself as an artist in creation.